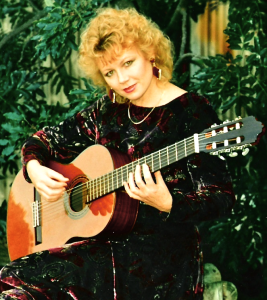 Dr Avril Kinsey is an award winning international concert guitarist, commissioned composer and author, accredited guitar, piano, voice teacher and composition lecturer. She received her DMus degree in Composition in April 2018. As a classical guitarist she has performed and recorded on 4 continents and worked with many international artists, including the late Luciano Pavarotti. As a researcher and published author she has several books and publications to her name. Her biographical information includes a short bio (275 words), full bio (570 words) and CV. See media, biography and CV pages for more information. 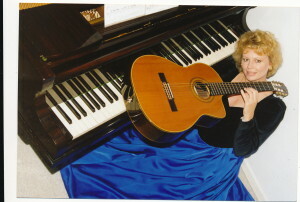 Avril received international acclaim for her “African-inspired” compositions for classical guitar. 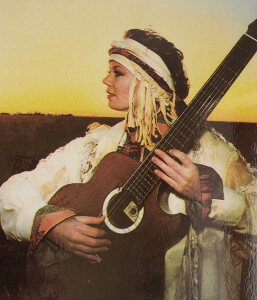 Described by Classical Guitar Magazine UK as “Ingenious, evocative…a master musician of unusual ability” her book and CD GUITAR MUSIC FROM AFRICA is bought by guitarists and educators world-wide. She has performed in the USA, UK, Singapore, Malaysia, Portugal, Spain, Italy, Holland, Belgium, Austria, Germany, Denmark, Scotland, Greece, Mauritius, Seychelles and South Africa. She is in demand often performing at festivals and events around the world. Read more about Avril here or to purchase any of her CD sound files and music scores visit the shop. Avril’s vast classical guitar repertoire ranges from Renaissance through to Contemporary composers and includes the music of Narvaez, Milan, Sanz, Bach, Mertz, Carulli, Carcassi, Sor, Guiliani, Tarrega, Lauro, Villa Lobos, Pernambuco, Torroba, Albeniz, Granados, Rodrigo, Ponce, Turina, Bennett, Brouwer, Walton, Bolling, Lindsay-Clarke, Ryan, Powlesland, Morel and others. Hear: Danza Brasilera and Cuban Dance . Her African-inspired repertoire includes her own vast collection of compositions, as well as those by South African composers, Glasser, Hewitt, Buss, Klatzow and Zaidel-Rudolph. Her 308 page MMus thesis includes a catalogue of 340 works by 72 South African Composers. Avril studied acting for film and television in America at the University of California, Los Angeles. Early in her career she embarked on a career as a singer/dancer in stage musicals and television shows. She performed the lead role of Polly in the hit musical The Boyfriend and went on to do the Elton John and Beatles Songbooks, as well as other similar television shows. She was recognised by Brickhill and Burke, the famous South African Impresarios who selected her to perform in several Broadway hits including Hello Dolly, Joseph and His amazing Technicoloured Dreamcoat, Oklahoma and They’re Playing our Song. Four years of piano studies at the University of Cape Town led to Avril pursuing the keyboard for her teaching and composition mostly. Several of her piano students have gone on to achieve great things. One student is accompanying the New Apostolic Church choir in performances overseas and at home, while several others have continued to pursue music studies seriously at school and university level.